Scientists in Belgium have created a solar powered machine with a unique ability. It can turn urine into drinkable water. The scientists conducted an experiment at a music festival that lasted ten days. In that 10 days, they managed to capture 1,000 liters of water from the urine of several partygoers. The urine is collected in a tank where it is heated by solar power in a boiler. The liquid is run through a membrane that distills 95% of the ammonia from the urine and pulls out the potassium and nitrogen for use as fertilizer. They plan to use this former urine that is now water in the production of Belgium beer. So next time you order a Belgium beer, be careful. It might taste a bit odd! On this day, September 1st, in 1875, Edgar Rice Burroughs was born in Chicago. Burroughs was a failure at nearly everything he attempted. He flunked out of most schools, finally finishing at a reform school. He failed the entrance exam to get into West Point. He was sent off to Fort Grant in Arizona where he was told to catch Apaches, which he never managed to do. He tried being a cowboy and then a shopkeeper and then a gold miner and then finally an accountant. Nothing seemed to work for him. He wrote stories and drew cartoons to beat back the Depression that was setting in from all his failure. In desperation to make money for his growing family, he sent off one of his writings that was really only half a novel. The editor liked it and asked for the rest. That story was "Under the Moon of Mars" and is considered the turning point of 20th century science fiction. Then came "Tarzan of the Apes" and as they say, the rest is history. At the corner of 4th and Main in Point Pleasant, West Virginia stands the historic Lowe Hotel. 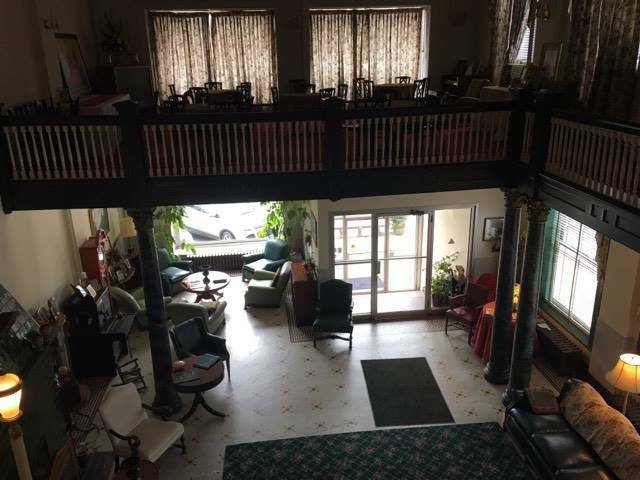 This hotel dates back to the early 1900s when it was built by two brothers. The hotel was needed to serve the heavy traffic and trade from the nearby Ohio and Kanawha rivers. Across the street from this grand structure is a peculiar statue. Rather ugly. It features a creature known as the Mothman. 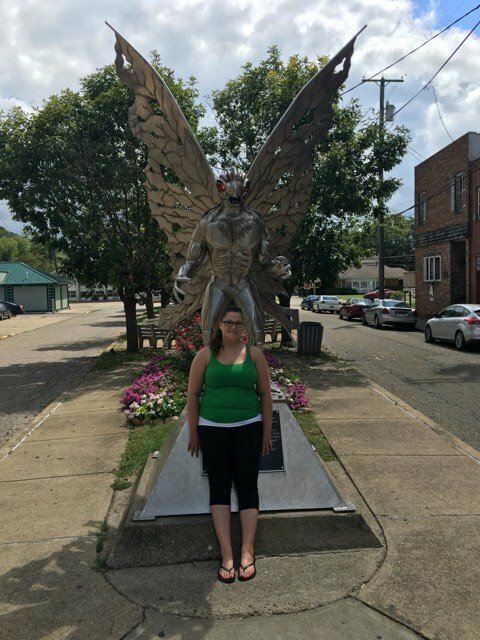 Point Pleasant is home to the legend of the Mothman. There are legends about the hotel as well, including many rumored hauntings, one of which might be a member of the Hatfield Family who was involved in the Battle of Matewan. Join us and our listener Katie Dunlap as we explore the history and hauntings of the Lowe Hotel and explore the legend of the Mothman! Point Pleasant is located at the confluence of the Ohio and Kanawha Rivers. The French explorer Pierre Joseph Céloron de Blainville claimed French sovereignty over the Ohio Valley and buried a plaque in modern day Point Pleasant making a claim for this area to be a part of New France. The only problem is that Britain already had a foothold and the Native Americans preferred them to the French. The French and Indian War solidified the British hold over the area. Fort Blair was erected in 1774 and Colonel Andrew Lewis who was the leader called it Camp Point Pleasant. Relations had soured with the Native Americans and that same year, the Battle of Point Pleasant occurred. Lewis led 1,000 Virginia militiamen against Shawnee Chief Cornstalk and his confederation of Algonquin. The militiamen won and this is considered part of Lord Dunmore's War. The name Point Pleasant stuck and the new Fort Randolph was established. The settlement received an official charter in 1794. The town became the county seat of Mason County in 1804. The city was incorporated in 1833. Point Pleasant had been home to the Silver Bridge, which had been built in 1927. It connected West Virginia to Ohio. The bridge was declared a "shining example of man's engineering ingenuity." That all came crashing down on December 15, 1967 when the bridge collapsed like a child's erector set. The bridge had held bumper to bumper Christmas traffic and those cars fell into the icy Ohio River. Forty-six people lost their lives that day. Some claim there was a warning that this disater was going to take place and it took the form of something that has come to be called the Mothman. This legendary creature came to more public awareness in the 2002 Richard Gere film based on the book the Mothman Prophecies. Sightings of the creature known as Mothman began in 1966. The first happened on November 12th and it involved a group of five men working in a cemetery near Clendenin, West Virginia. The men were horrified when they spied a human shaped winged beast take off from a nearby cluster of trees. It flew directly over them. They reported what they had seen and soon more sightings were reported. 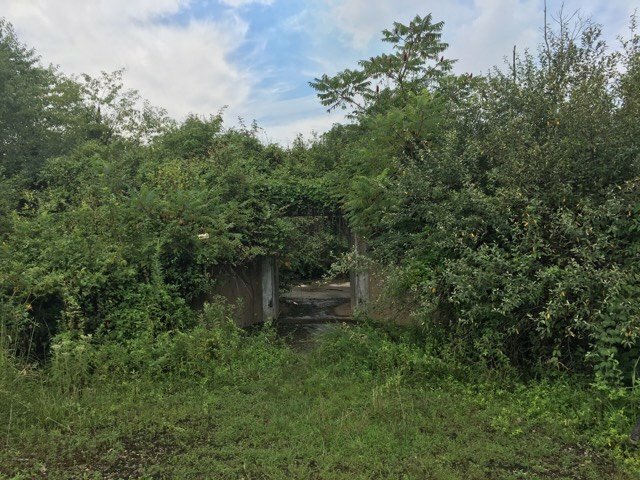 On November 15th, two young couples had been out for the evening and they drove past an abandoned TNT plant near Point Pleasant. They were startled when they saw a human shaped creature that they described as nearly seven feet tall standing near the plant. They could tell that it had wings folded against its back. They sped off, but saw the thing again on a hillside near the road. The winged creature spread its wings and flew alongside the car and kept up even though the car was traveling at 100mph. That same night, another group of four witnesses would tell the sheriff they saw the same bird-like humanoid. Ninety miles away, a man named Newell Partridge claimed to see two red circles that looked like bicycle reflectors near his hay barn when he pointed a flashlight in that direction to see what was making his dog go nuts. The dog ran towards the thing and Partridge went to get his gun, but was too scared to go outside. Two days later, his dog had still not returned. Partridge would later read the other eyewitness accounts in the paper and there was a report that a large dog had been seen lying on the ground near the TNT plant. When the couples drove by again, the dog's body was gone. The witnesses were all well known people and the town took their stories serious. These people had clearly seen something very strange. The TNT plant was used to store explosives during World War II and it had woods all around, so it was a perfect place for the Mothman to hide out. Marcella Bennett was visiting her friends, the Thomas family, in November. She had her baby girl with her and as she was pulling her from the car, she noticed something out of the corner of her eye. She turned and saw a big gray human-like being with glowing eyes that stood over six feet tall. She dropped the baby in fear. She scooped her daughter up and ran for the Thomas' door. The Mothman followed her onto the porch and after she entered, peered through the windows. The terrified group called the police, but the Mothman had disappeared by the time they arrived. It would take months for Bennett to recover from the encounter. Across the street from the Mothman Museum is the Lowe Hotel. 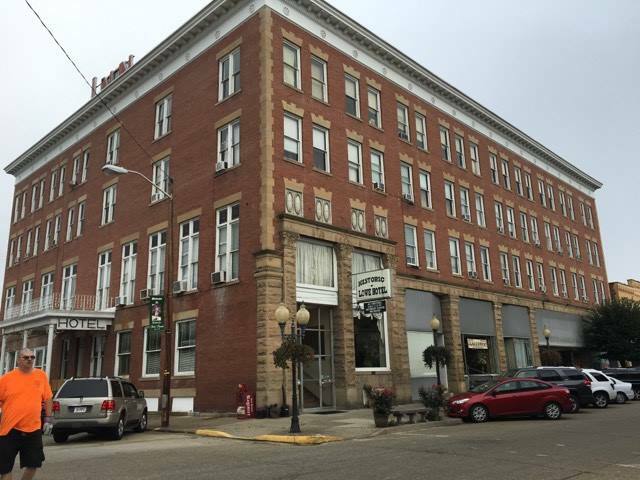 It was originally named the Spencer Hotel and was built in 1901 by the Smith Brothers, Homer and Griff. They chose the name Spencer in honor of their friend J.S. Spencer. It makes sense because Spencer was a financial backer of the hotel and the name Smith is well, the name Smith. Griff was the older of the two brothers. He was born in 1867 and Homer was born in 1868. Griff was considered a ladies' man and worked in politics early on, first for the West Virginia Secretary of State and then for the IRS Commissioner. He left politics and D.C. to join his brother in the hotel business. The Lowe Hotel was four stories tall, built on land that Colonel Andrew Lewis had owned. The first floor was meant to be a place for the community featuring a barber shop, bank, billiards room, ladies reception area and a bar and grill. The brothers spent $65,000 on construction and another $10,000 to furnish the hotel. 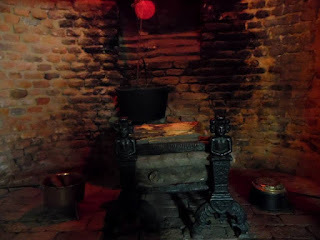 The kitchen was on the mezzazine between the first and second floor and there was a dining room. Guests stayed on the second and third floors and a grand ballroom was on the fourth floor. Rumors claim that gambling and prostitution were embraced here. West Virginia has been considered a strange and haunted place all the way back to the times when the Native tribes lived on the land. They would report strange phantom lights and bizarre creatures. Particularly in this area of southeastern Ohio and western West Virginia. 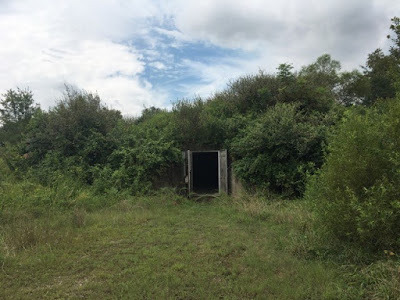 There are claims that this area is a portal or window to something else. And then there is the Cornstalk Curse. Chief Keigh-tugh-gua was murdered here. His name translated to "Cornstalk." 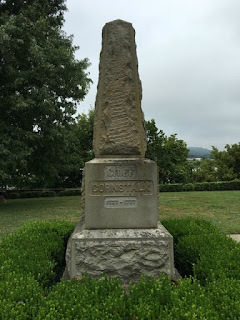 In 1777, during the Revolutionary War, Cornstalk visited Fort Randolph with a warning. The British were mobilizing the native tribes in the area to attack the fort. Chief Cornstalk was one of the lone holdouts, but he explained to the colonists at the fort that he knew soon that his people would be forced to join the British. Captain Arbuckle was alarmed when he heard this and he took the chief hostage. The chief was treated well. A few days later, two soldiers went outside the fort to hunt and they were ambushed. One man was killed and when his body was returned to the fort, the other soldiers were enraged. They broke into the quarters where the chief was being held with three other men and they murdered all four. The chief was shot eight times. The town of Point Pleasant really struggled and a historian named Virgil A. Lewis wrote in 1808, "Point Pleasant did not flourish for many years [after the turn of the century]. There was no church for more than fifty years and society was at a low ebb. There was a popular superstition that because of the fiendish murder of Cornstalk there in 1777, the place was laid under a curse for a hundred years." The legend holds that as Chief Cornstalk was on the floor dying, he uttered this curse, "I was the border man’s friend. Many times I have saved him and his people from harm. I never warred with you, but only to protect our wigwams and lands. I refused to join your paleface enemies with the red coats. I came to the fort as your friend and you murdered me. You have murdered by my side, my young son.... For this, may the curse of the Great Spirit rest upon this land. May it be blighted by nature. May it even be blighted in its hopes. May the strength of its peoples be paralyzed by the stain of our blood." Disasters and tragedies have plagued the area since. Is it this confluence of tales of portals and curses that has led to reports of hauntings at the Lowe Hotel? The hotel is reported to play host to a plethora of spirits. 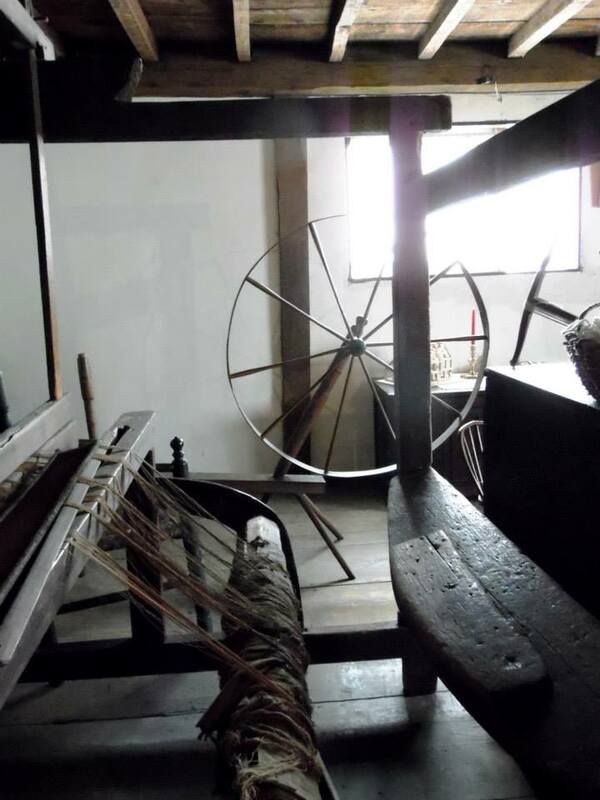 The mezzanine features a tale about a ghost that many believe is the spirit of Juliette Smith. She was the Lowe family's middle child and she was a beautiful girl with long flowing hair. She fell in love with a boy and in typical fashion, her father disapproved. He forbade her from seeing the young man and he married another, leaving her heartbroken. Between the first and second floors is home to one of the most famous of the Lowe ghosts. A beautiful, but disheveled young woman is seen dancing to music only she can hear. She is barefoot, wearing a nightgown, and has long, flowing hair. No one is sure how she died. She is reportedly seen wearing a nightgown and dancing. 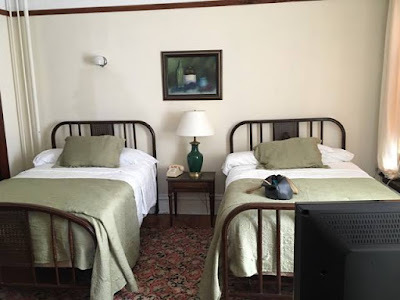 When the show Sci-Fi Investigates stayed at Lowe while filming a special on the Mothman, a member of the crew who was a skeptic, claimed he saw the apparition of Juliette. Some people leave a single long-stemmed rose on the mezzanine to coax her out. 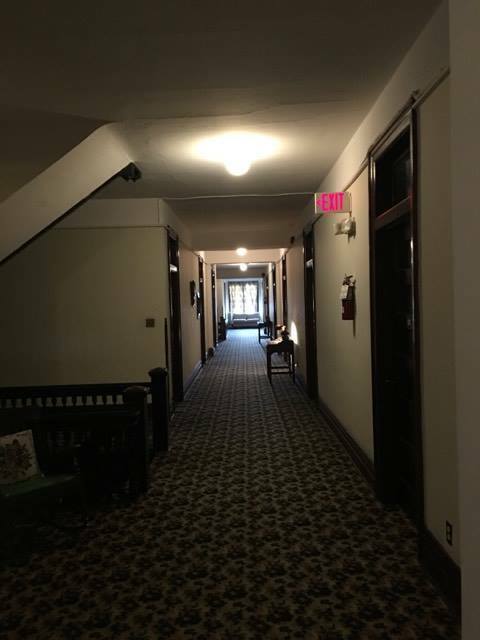 The third floor seems to be the most haunted area of the hotel. Room 316 has reported sightings of a spirit named Captain Jim. This is a nice three room suite, so perhaps there is room for the living and the dead here. A woman staying in that room in 2005 was startled when she returned to her room and found a man standing at the window wearing what looked like a ship captain's outfit, staring out at the river. She demanded to know what he was doing in her room and he said he was waiting for a boat. It was then that she realized he had no legs. She ran as would we! There was a Captain James O'Brien who worked on a steamship here in 1915. Another spirit on the third floor is the spectre of a former maid. Guests feel cold spots in the hallway and in their rooms and claim to hear disembodied whistling with a female lilt. Cleaning supplies are found laying around and the staff claims to have not left them. (Likely story *wink wink*) Maybe they aren't lying because the supplies are never the current products the hotel staff uses. There is also another male spirit on the third flood who appears wearing 1930s style clothing in Room 314. One of the witnesses saw a postcard with the likeness of a former Sheriff of Matewan. The witness was sure that was the spirit they had seen. That man was Sid Hatfield. And yes, that Hatfield of Hatfield vs the McCoys. Sid Hatfield was a descendant of the leader of the Hatfield family involved in that infamous raucous. Sid himself was involved in another raucous: The Battle of Matewan. Sid became a miner when he was a teenager. In 1919, he became Police Chief of Matewan. He was staunch supporter of the United Mine Workers of America. Coal companies ran the lives of miners forcing them to live in their housing and shop in their stories. They worked the miners in harsh conditions and for long hours. So along came unions to help the workers. A group called Baldwin-Felts Detectives would go around and punish any workers who joined unions, beating them up and throwing their furniture into the streets. Twelve men led by Albert Felts came to town to evict a bunch of miners. Sheriff Hatfield made sure the process went smoothly, but later that evening, things took a turn for the worse. The townspeople were angry about the evictions. The sheriff and mayor were not happy either. They rounded up a group and confronted the Baldwin-Felts men. No one knows for sure what happened next, but bullets went flying. The mayor was mortally wounded. Seven of the Felts men were killed including Albert Felts. Two miners and the mayor were killed on the other side. State troopers seized control of the town, but no charges were brought against anybody. The following year, Hatfield and his deputy were shot and killed. There is a residual type haunting on the second floor of the Lowe Hotel. This one features a young girl about two or three-years-old. She rides a tricycle in the hall as a full bodied apparition and makes no eye contact and does not respond to anyone. She will then just disappear. The sounds of a tricycle are heard in the hallways as well and no one will see anything to cause the noise. Some believe this is an imprint of one of the Lowe's children who would play in the hotel. People claim to hear music coming from the empty ballroom. "The best time was this last week when we returned with our 6 month old son and my Mom. We stayed in room 220, the suite. We all stayed in the two bed room with my sons bed between us. Between two and four in the morning I was awaken several times by the feeling of someone touching my knee (not under covers as it was hot). I would wake up, look around, see nothing (as we kept a light on for our son) and check blankets were not on me at all. This happened about three times. I can best describe it as it felt like a small child tapping my trying to get my attention. When we all woke up about 8am the next day, my Mom reported that she kept feeling someone touch her as well in the bed across the room." "My boyfriend and I stayed at The Lowe this past weekend while we were in town for the Mothman Festival. I loved it! We had two strange experiences there. On Friday night we had a hat rack fall over in the middle of the night and on Saturday our TV came on by itself." 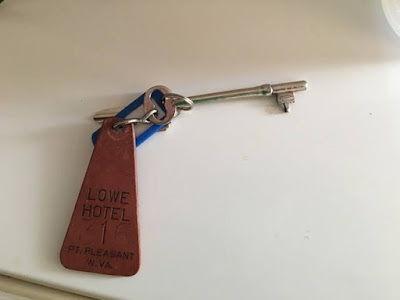 The Lowe Hotel sits in a town with an active and strange history. Did the Mothman really exist or was he just the result of active imaginations? Was this just a large bird? Could the historic Lowe Hotel harbor some energy that is carrying over from the past? Do members of the Lowe family still remain here in death? 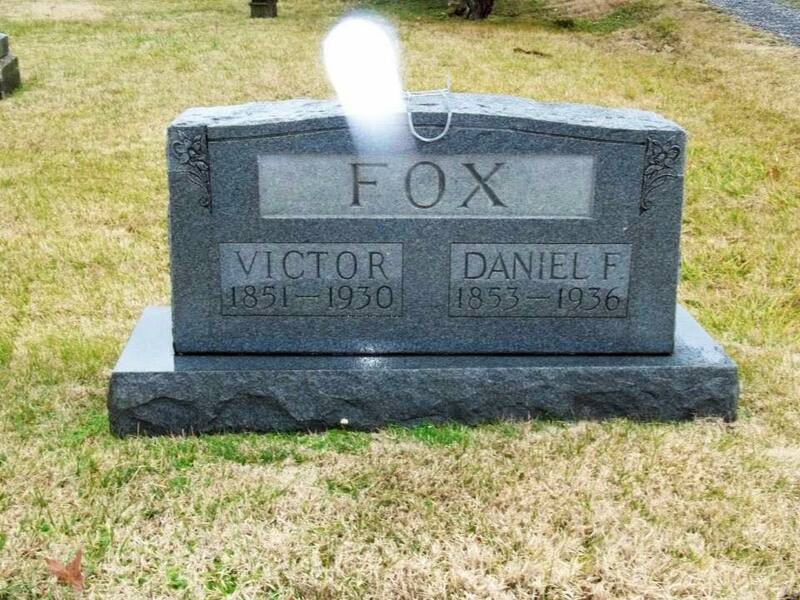 Do some previous guests still remain in the afterlife? Is the Lowe Hotel haunted? That is for you to decide! In the late 1860s, a very peculiar train station opened its doors for the first time. This train station was a mortuary. It's located in Sydney, Australia and when it was running, it carried the dead along with their loved ones to Rockwood Necropolis. Thirty dead bodies would be placed in wooden wagons and loaded onto the train. When they arrived at the station, they would be off-loaded and carried to their burial plots where they would be reunited with family members that had also rode the train. The Rockwood Necropolis is the largest cemetery in the Southern Hemisphere, spreading out over 700 acres. Nearly one million have been buried here. The funeral train stopped running in the 1950s, but the railway station for the dead still stands. The station and cemetery are reputedly haunted and many believe it is because of the power behind railway lines. A train that ran for the sole purpose of bringing the dead to their final resting place and a railway station that really was just a mortuary, certainly are odd! On this day, August 27th, in 1593, Pierre Barrière attempted to assassinate King Henry IV of France. He failed in this endeavor and later confessed the attempt to a Dominican priest named Father Varade in hopes that the priest would absolve him. This would lead to his demise, as this priest would turn him in. Apparently, Jesuit priests were notorious for promoting the assassination of the king while others, like the Dominicans, remained loyal to the crown. It is shocking that Father Varade not only encouraged him to confess, but also told him to follow through with all the religious rituals including Easter Mass. He told Barrière that this was a good thing he was doing and perhaps the wanna-be assassin thought that his confession would save him from punishment, along with the practice of the other rituals. Barrière never made it to Easter Mass. He was arrested later that day and was convicted in less than four days. He was placed on the breaking wheel and after his body was broken and devastated, he was then dismembered. In Detroit, Michigan sits a grand home with a gabled roof, arched windows and a beautiful rose hue emanates from the facade. This upscale dining establishment was once the David Whitney House and is known today simply as The Whitney. David Whitney, Jr. was such a successful lumber baron that people would remark that he was "the man who could out-lumber Paul Bunyan." He was one of the wealthiest men in America and he would leave his mark in Detroit in a very positive way. Some believe he remains in the home he had built in the afterlife. They seems to be other spirits at The Whitney as well. Join us as we explore the history and hauntings of The Whitney! The Whitney family is known for their wealth and were early settlers to America. John Whitney came over from London in 1635 and settled in Watertown, Massachusetts. The Elms is the historic family mansion in Watertown and was built in 1710. 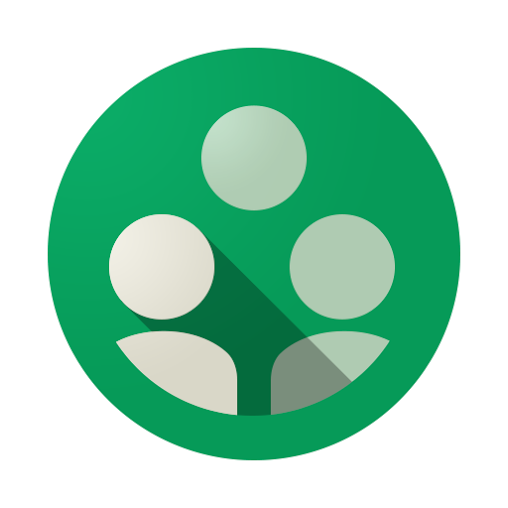 One of John Whitney's descendants was David Whitney, Jr. David was born in October of 1830 in Massachusetts. He established himself well in Lowell, Massachusetts and was a millionaire by the age of 27, when he decided to move west to Detroit, Michigan. The year was 1857 and David would become one of the most prominent men in Detroit history. He made his money in lumber and he joined forces with his brother Charles in Detroit and they expanded the lumber business into Ohio, Indiana and Pennsylvania. The Mound Builders were here in the Detroit area before the French came. The area came to be known as le detroit, which means "the straits" in French. Antoine de la Mothe Cadillac felt that the area would be great for a fort. A cannon could be fired from one side of the Detroit River to the other. The court in France agreed, and Cadillac was allowed to establish a settlement at the Detroit River in 1701. Cadillac called his settlement Fort Ponchartrain. Little did Cadillac realize, but his King had sold him out to Canada. The Company of the Colony of Canada was an all-Canadian fur company and it was given full rights to the fort with Cadillac as its employee. He left in 1702 hoping to get his rights back. He finally would in 1705 after things got very sour for the company with ill relations with the Native Americans and embezzlement in the leadership. In the mid 1700s, Britain attacked Quebec and Montreal and took the fight south. The French finally had to surrender New France and Detroit came under British control. American forces would take Detroit in 1796. The legislature of the Northwest Territory at Chillicothe, Ohio, would vote to incorporate Detroit on January 18, 1802. The city incorporation would become official in 1806. Throughout the 1800s, the Detroit government would grow and take shape. David was a brilliant real estate investor, knowing that if he could buy forested land cheaply, he could make a mint because steel was still in its early stages of development and wood was in dire need. Most of the good New England wood had already been harvested. Michigan offered plenty of forested land and he bought much of it for as little as $2 an acre. His profits would generally equal one hundred times what he spent on the land. One obstacle to building a timber business in Michigan was getting the wood to sawmills and then to market, so David invested in shipping lines. He soon owned an extensive line of steam barges. When steel finally got a foothold and most of the prime white pine timber was harvested, David decided to use his real estate skills in buying property for other uses. He came to be known as "Mr. Woodward Ave." because he bought so much property on that street. 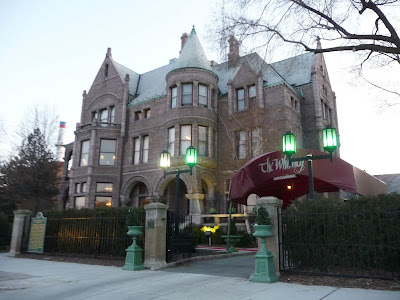 One of the structures he would have built on Woodward Ave. would be the David Whitney House. David's wife Flora, whom he had married in 1860 and had four children with, had passed away in 1882 and so she would never see the impressive home he commissioned to have built in 1890. Flora's sister Sara would get to enjoy the home though as she married David in 1883 and she would live in the home until her death in 1917. 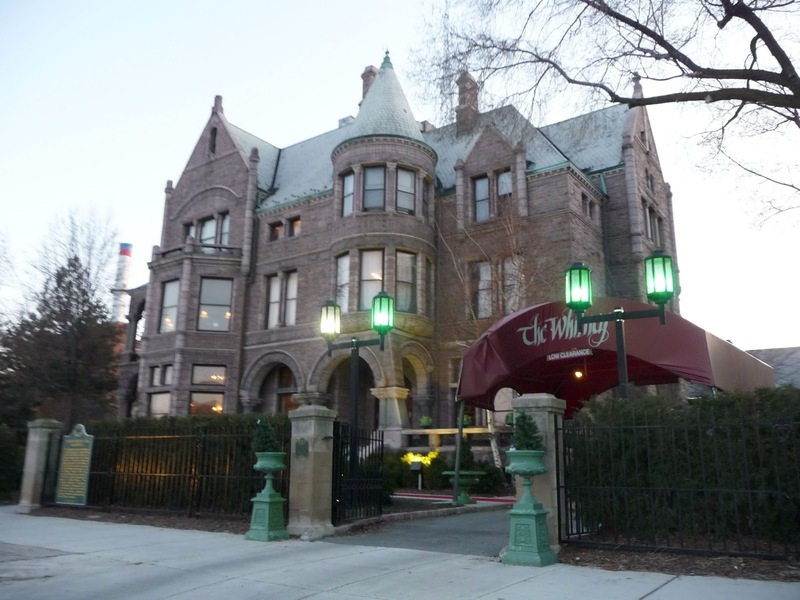 David hired Detroit architect Gordon W. Lloyd to design the house and it was built in the Romanesque style. A unique building material was chosen, South Dakota Jasper, which is a rare variety of pink granite. Because of this, the house has a pink hue that is quite striking. The granite was laid in a random ashlar pattern. The outside is decorated with grotesques, intertwined leaf motifs and the initials DW. Slate tiles cover the roof in a fish scale pattern. There is a round tower with a conical roof, giving it a bit of a castle-like flair. It took four years to complete and encompasses 21,000 square feet with 52 rooms, 20 fireplaces, 218 windows, an elevator and a secret vault in the dining room. It cost $400,000 to build. One newspaper described the house in 1894 as "the most elaborate and substantial residence in this part of the country." The inside of the house was even more impressive than the outside. There was a Great Hall that featured a grand staircase. All rooms of the house opened into the hall that stretched all the way to the third floor. The hall was illuminated a Tiffany stained-glass window that was two stories tall featuring a knight paying his respects to the Whitney family whose ancestry contained several knights. A bronze balustrade adorned the staircase. An ornate fireplace and mantlepiece were in the Great Hall with an antique bronze clock on the mantle. The tile floor was in a Flemish mosaic design. The Whitney's extensive collection of art was displayed on the walls in the form of tapestries from the legendary Gobelin Tapestry Works in Paris, hand-woven silks and other objects. The house was electric and put in by David Whitney's good friend Thomas Edison. A statue of Psyche was placed in the Music Room, which also had tiffany stained-glass windows featuring St. Cecilia and Apollo with his Lyre. The ceiling was silk and cherubs were painted on it. David's Smoking Room was right next door. It had a vaulted ceiling and mahogany woodwork. The Reception and Drawing rooms were painted in ivory with gold relief. The floors were Honduras mahogany with bird's-eye maple inlay. The Library had seven foot high bookshelves made from mahogany. The ceiling was criss-croosed with wooden beams. There was also a 10-foot high fireplace with deep blue tiles accented with sliver filigree. David passed away in 1900 and he was worth $15 million at his death making him one of the richest men in the country. 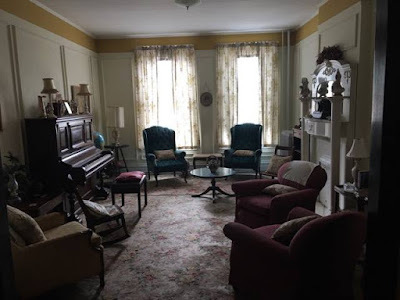 As mentioned before, Sara lived in the house until her death in 1917 and then the beautiful home stood empty with only a caretaker to look after it until 1932 when the Whitney family let the Wayne County Medical Society move into the home. The carriage house was behind the home and was the largest carriage house in the state when it was built. There was a lift to take carriages to the second floor. It held the offices of the Visiting Nurses Association, which had moved into it in 1929. The Whitney family had always been big supporters of the medical arts and they charged the society nothing to occupy the house and even paid the annual taxes. The Great Depression eased and the society was able to take over the bills. By 1941, the family had given the home to the society. Grace Whitney, who represented the family, said, "It means much to us that this house filled with sacred memories is now given to such a glorious organization as the Wayne County Medical Society." The Medical Society stayed at this location until 1956 when it built an upgraded facility elsewhere. They did take some of the artwork from the home to put in the new facility including a bronze bust of Shakespeare, the Psyche statue that had been in the Music Room and a bust of Venus de Milo. When the Medical Society moved out, the Visiting Nurse Association used grants to purchase the house in 1957. The nurses maintained the building until 1979. Rumors started to float about after the nurses left that, the home would be torn down. An entrepreneur named Richard Kughn could not bear the thought of this city treasure being torn down. He believed it should be preserved for the public to enjoy and so he bought the David Whitney House. David's former home became an upscale restaurant called The Whitney that Richard opened in 1986 after a costly and long renovation. The dining areas were placed in the various rooms of the house on the first and second floors and named for the original purpose of those rooms. The servant quarters in the back of the house was made into a state-of-the-art kitchen. The painted murals in the home were all restored. A cocktail lounge named Winter Garden was opened on the third floor. Richard ran the place until 2007 when he sold it to Bud Liebler who did some more renovations and renamed the third floor The Ghost Bar. Liebler also moved his business The Liebler Group into the third floor. The kitchen is the scene of some haunting experiences in the form of mysterious sounds like water running and stacking dishes without anyone actually being in the kitchen doing dishes. Grace was one of the Whitney's children and some claim she haunts the property. She has a table that is kept in the Carriage House. It is referred to as Grace's table that has a tea set on top. 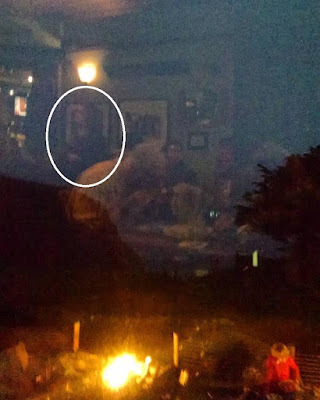 Her full-bodied apparition has been spied several times in the Carriage House and EVPs of her have been caught. But Grace was an adult woman, so when Ghost Hunters acted like they were talking to a little girl, we're not sure what that was about. 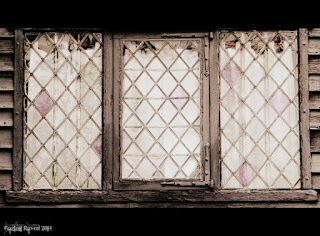 The Ghost Bar has been the scene of both a little girl's apparition and a man's apparition walking through the walls and a large curtain. Some also claim that a little boy's spirit has been seen here as well. The identity of the little boy or little girl is unknown. "On October 27th, 2014, my dad brought my mom to The Whitney for lunch to celebrate her 50th birthday. They ate in a first floor dining room with two other groups. By the time they had finished, they were the last ones in the dining room and asked their server if it was alright to explore the house. This wasn’t them looking for ghostly activity seeing as my dad isn’t the spook-seeking type, but rather they wanted to see all the beautiful décor and architecture. They were basically told to “help themselves” and began wondering around and taking pictures. 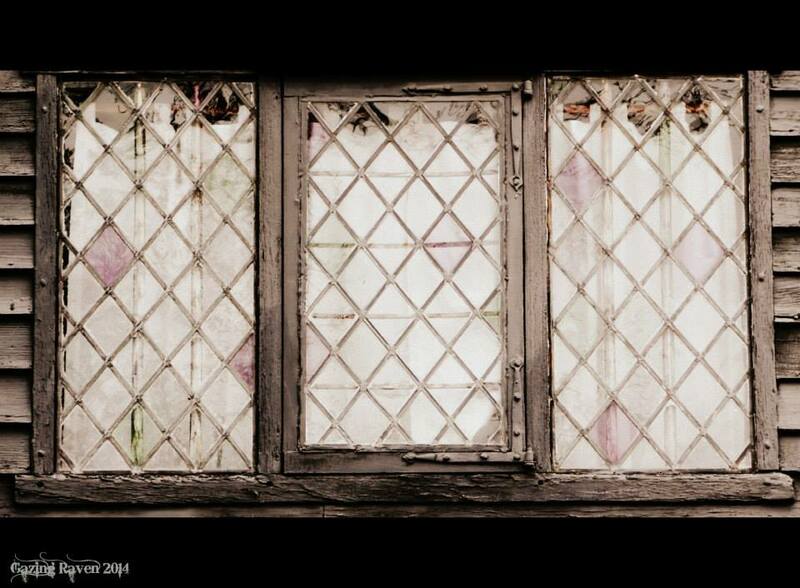 While on the third floor, they stood at the banister looking down at the landing and the stained glass windows. As they were taking in the stained glass, which my mom is a serious sucker for, the elevator to their left opened, waited, closed and went back down as if someone had been standing nearby and had pressed the call button. Remember, the other two groups had left leaving only my parents and the staff in the building. They had been up there for long enough that they would have seen anybody call the elevator and walk away. They knew it was said to be haunted and figured the elevator showing up on its own was something that frequently happened. Again, they weren’t seeking anything by exploring but did get a bit of a thrill." Ghost Hunters claimed to debunk this by timing the elevator, but there are too many experiences to completely write this off as some kind of constant mechanical malfunction. We've never seen elevators just open and close on their own regularly. One woman did claim that a relative of her's had been killed while working on the elevator. We didn't find any proof for that. 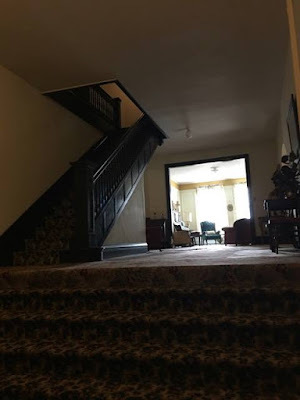 Haunt Investigators of Michigan have caught some interesting photos and EVPs. One EVP was of a male voice saying, "Restroom." Objects move on their own, drawers open and close on their own as do doors. The Whitney is a wonderful reminder of the grand past Detroit once had. Are there other reminders of the past still held on this property in the form of paranormal activity? Have the spirits of family members continued to stay in their beloved home after death? Is The Whitney haunted? That is for you to decide! Cheryl shared this on Instagram. Her boyfriend took it in Savannah outside the Colonial Park Cemetery. There is something that looks like a face in the tree trunks. Cheryl zoomed in the photo here. See the face? Looks kind of like Nosterafu! Kevin sent this. The two men on the left are now deceased. Weird auras look like faces coming out of their heads. 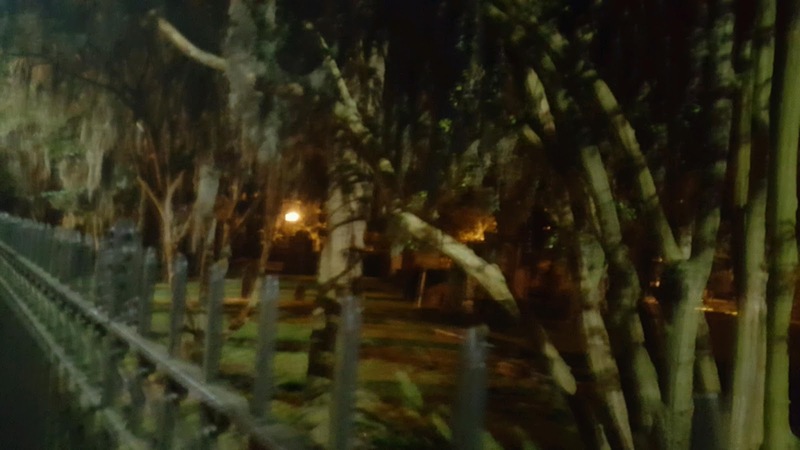 Kevin sent this of a picture he took in a cemetery. 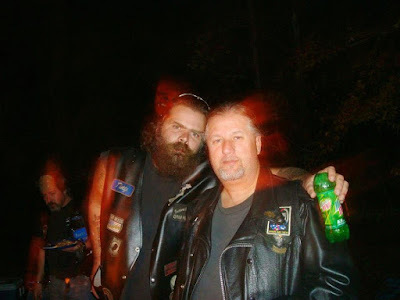 Most orbs are explainable, but this one is unusual in how bright it is and that it appears to be moving. Spring Grove Cemetery in Ohio is the largest non-profit cemetery in the United States. The grounds are beautiful and statues dot the landscape. There is a peculiar tombstone that features a partial bust of the man buried beneath it and it has inspired a legend. According to the tale, the man buried here requested in his will that his eyes be removed and placed in the socket of the bust. The eyes are indeed life-like. But as we all know, eyes are some of the first parts of the body to decompose. The legend continues that the bust will even turn and look at people. The truth is that the eyes can be seen from a distance and they are a bit disturbing. They are made from glass and painted to appear real and as happens with paintings, the eyes seem to follow you. So when you find yourself in Spring Grove Cemetery and you get that eerie feeling that someone is watching you, it just might be the bust of some dead guy with realistic eyes and that certainly is odd! On this day, August 22nd, in 1798, the French landed 1,000 soldiers under General Humbert in County Mayo during the Irish Rebellion of 1798. The French were to assist the rebels in their fight against the British. The United Irishmen, a revolutionary group heavily influenced by the revolutions in both France and America, led the charge in the fight for Irish Independence. The main uprisings and bloody guerilla warfare had already taken their toll and the British and their loyalist factions had been successful at beating back and destroying rebel forces. The 1,000 troops linked up with about 5,000 Irish rebels and they struck a surprising winning blow against British forces. Despite the early success Irish rebel forces and French troops were routed, captured, and destroyed. Irish rebels were executed and the French troops that were captured were traded for British prisoners of war. Guinness World Records has named Pluckley Village as the most haunted village in England. Pluckley dates back to the 11th century and was owned by the Archbishop of Canterbury. It is located on a hill in Kent and through the decades, it had expanded down the hill until the Black Death decimated the population in the 14th century and sent survivors back up the hill. One of the more well known areas is the Dering Wood named for one of the more well known families to live in the area. Dering Wood is also known as Screaming Wood. There are reports of as many as sixteen ghosts in this village. Listener and UK resident Alana Ashby joins us as we share the history and hauntings of Pluckley Village. The Dering family was very prominent in Pluckley and many locations are named in their honor from Dering Wood to the Dering Arms Pub. They are of Saxon origin and descend from Ethelward, King of Diera. They began to rise in stature at the beginnings of the reign of Henry II. They inherited the manor of Surrenden to the east of the village. The Derings were barons who created libraries and launched new regiments. The Dering Arms was originally a hunting lodge built for the family in the 1840s. This pub is reputed to be haunted by an old woman who sits at a table near one of the windows. She wears period clothing, but looks so life-like that people usually think she is a real person. Until she vanishes. The manor that the family owned named Surrenden Dering is apparently haunted by The White Lady. She was a former lady of the Dering family. Legend says that Lady Dering was so beautiful that her husband had her body embalmed and encased in four coffins, three of lead with an outer oak one. The theory is that since she did not receive a prompt burial, she is at unrest and now haunts her former home. In 1952, Surrenden Dering was burnt down in a mysterious fire. A few parts still stand today. There is also the Red Lady who is believed to be another Lady Dering, although her stories overlap the Lady in White, so perhaps they are one and the same. The Red Lady also haunts St. Nicholas' Church. St. Nicholas' Church is 900 years old. It is the Diocese of Canterbury. The church is beautiful inside with a crownpost roof in the nave. There are two stained glass windows, with one in the east representing Jesus and the one on the north features the Annunciation. Built in 1475 and at the east end of the south aisle is the Dering chapel. These windows were designed by Francis Stephens and John Hayward in 1954, so they are quite modern. There are brass pictures depict members of the Dering family. 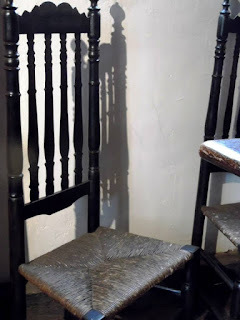 Sir Edward Dering had them made in the 1630s to represent his family ancestry. Perhaps it is the connection of the Dering family to this church that draws the Red Lady to haunt the place. Is Pluckley Village truly one of the most haunted places in the world? Is it the most haunted place in England? Do ghosts wander the woods and buildings of this village? Is Pluckley Village haunted? That is for you to decide! Angie shared the following story from a friend: "My friend had an experience this past weekend about the Lady in Blue. 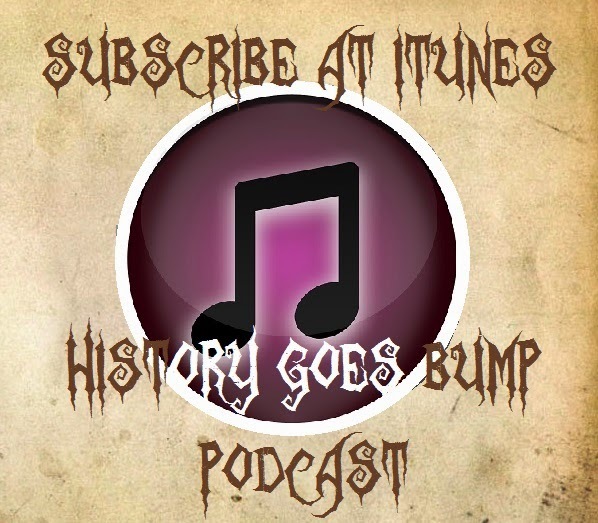 I told him about History Goes Bump podcast and what is about and wanted to share his story with you all. He said I could so here is his story, ""The Lady in Blue" So Maggie and I go to have our 2 year anniversary dinner at The Distillery in Moss Beach, Saturday night. We read the story about "The Lady in Blue" haunting the restaurant since the 1930s. We learn that she was found dead on the beach, right outside the restaurant and was wearing a blue dress. Little did we know, that she likes to see people having fun and celebrating love. By coincidence, Maggie wore a Blue dress and I wore a Blue suit. We then learned that when she appears to people, her dress is now black. So we joking call out to her by name, Cayte, and tell her that we're celebrating our anniversary and we'd like to her visit our table. Throughout our dinner, she never came. As Maggie watched as an eerie fog rolled in from the sea and wanted to capture a "scary shot", from our window front table. She was able to capture the fire pits from outside, but due to the glass, the top have of the image was a reflection of the interior and patrons dining. Or so we thought. The Lady in Blue can be seen in the image, directly under the light shining from the ceiling. A woman can be seen, standing under the light and waiting at a bar, just like in the original story. Believe me, that was not a waitress, nor was anyone else standing in that position. Be careful what you ask for, because she came to visit!!!" Many are probably unaware that the invention of the electric chair begins in Buffalo, New York. On Monday, May 13, 1889, William Kemmler was found guilty of murder. The following day he was sentenced to “suffer the death punishment by being executed by electricity, as provided by the code of criminal procedure of the State of New York, and that [he] be removed to and kept in confinement in Auburn State prison.” Kemmler had beaten his wife to death with the blunt end of an axe.The use of the electric chair was brand new. 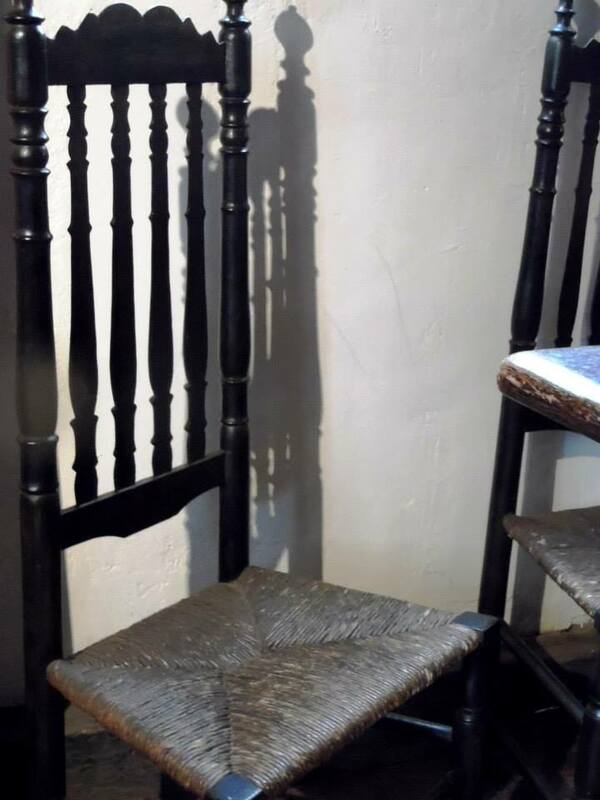 As a matter of fact, Kemmler would be the first man executed in the chair. The switch was thrown with 1,000 volts for 17 seconds and everybody thought Kemmler was dead, but he wasn't. The machine was recharged and 2,000 volts was run through Kemmler's body for long enough that blood started to seep from his body and he finally caught on fire. This time he was dead. The DA who had prosecuted Kemmler in Buffalo, ran from the room and got sick. Not only was this way of execution started with Kemmler in Buffalo, the idea was sparked in Buffalo as well. The Brush Electric Company was located in Buffalo and provided streetlights to major cities like Cleveland, Manhatten, Boston and San Francisco. 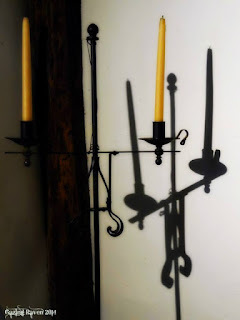 They had invented arc lights, which were more powerful than filament lamps. They were testing these new lights one evening and caught the attention of many people in the town. Their curiosity brought them down where they found wires running between poles and they discovered that the dynamos were leaching out a dull current of electricity to the metal railing near them. The visitors formed a semi-circle and held hands and the people on each end grabbed the rail. A light tickle of electricity passed through the group. One of those visitors was a man named Lemuel Smith. Smith went and got drunk and returned alone later that night. He was chased off several times by the police, but he eventually managed to sneak past them. He ran towards one of the dynamos and grabbed a pole, but got no shock. He reached out for the other pole with his other hand and well,he became the first American killed by a dynamo. This showed that a person could be killed with two different power cycles – one high voltage and one low voltage. The high voltage caused the brain to cease functioning and the low voltage stopped the heart. That technology was built into the electric chair and didn't change for the next 100 years. The idea that a drunk trespasser in Buffalo, New York, looking for a cheap thrill, would inspire the invention of the electric chair, certainly is odd. On this day, August 17th, in 1962, Peter Fechter was shot and killed by East German border guards. The Cold War was in full swing. After World War II, Germany was split between the victorious powers. The United States and her allies possessed a sphere of influence over West Germany and also took on the roles as protector and supporter. East Germany was in the gravitational pull of Russia and subscribed to the ideals of communism. Things in East Germany were tough. High inflation, scarcity of consumer goods, and being in a country ruled by an iron fist made life unbearable in communist East Germany. This led to many people trying to flee the country into their neighboring country of West Germany, which had an abundance of consumer goods, jobs, a democratic government, and a way of life that meant peace and prosperity. Fechter and his friend Helmut Kulbiek tried to cross the Berlin Wall together. East German border guards fired upon the two as they raced to the wall. Kulbiek made it, but Fechter was struck in the pelvis. Fechter screamed and cried in agony as he lay dying at the wall. It took an hour for him to bleed to death. East German troops did nothing to save him or render him aid. While several accounts say that West German police tried to throw him bandages, which he could not reach. Western authorities were prevented from further action by the threat of physical force. Both sides were fearful of the other and as a result no one helped a dying man. It is believed that Peter Fechter would have died whether or not he received the help he begged for. He was just 18 years old. The town of Salem, Massachusetts carries a mystique that can be traced back to what has made this location infamous and that are the witch trials that began in 1692. One of the prominent figures in those trials was a man named Jonathan Corwin. When another judge was reluctant to continue forward with the trials, Jonathan stepped in, signing arrest warrants and taking part in hearings. The result of these trials would be the deaths of nineteen people. Corwin owned one of the few mansions in town and it would come to be known as the Witch House. 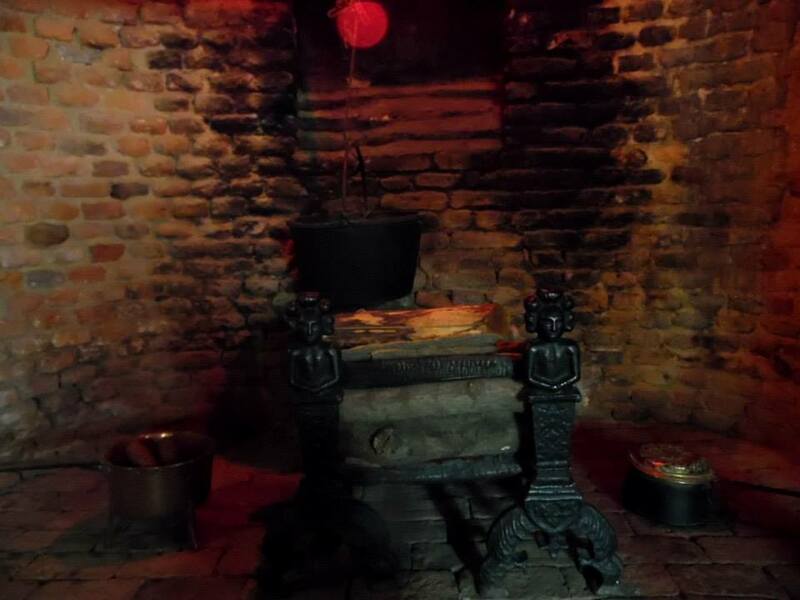 Legends have cropped up around the house that the souls of those convicted of witchcraft haunt the home and other tales claim that women were tortured there to get their confessions. None of these are true. But something is haunting the former home of Jonathan Corwin. 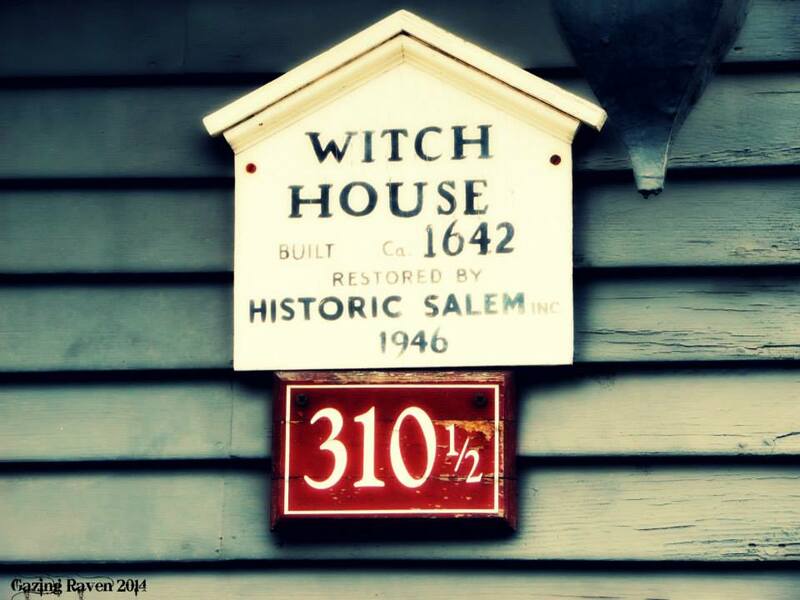 Join us and our special guest, Amanda Prouty who has given tours in Salem, as we explore the history and hauntings of the Witch House. Salem was originally settled by a Native American group who used the area as a trading center. Europeans first settled in 1626 after a group of fishermen led by Roger Conant arrived. Conant led the settlement for two years and then the Massachusetts Bay Company asked Conant to step aside and let John Endecott replace him. The transition was peaceful and Endecott and Conant cooperated in such a way that all the settlers, who were considered old planters and new planters based on whose leadership they favored, got along and did not dispute the new government. Because of this, the town was called Salem, a hellenized form of the Hebrew word for peace. George Corwin arrived in Salem in 1638 with his wife Elizabeth. George was a shipbuilder and a wealthy merchant. Their son Jonathan was born in 1640 in Salem. He followed in his father's footsteps as a merchant and eventually got involved with the government. He was elected to the colonial assembly and became a magistrate for the local courts. He married Elizabeth Gibbs, a widow, in 1675. That same year, he bought one of the larger homes in the town that would come to be known as the Jonathan Corwin House and later The Witch House. This is the only structure still standing in Salem with direct ties to the Salem Witch Trials, which we featured in Episode 61. There are many misconceptions about the house and Amanda is going to share those with us. The Salem Witch Trials left much negative energy behind. Does some of this energy still carry over to our present day? Do some of the members of the Corwin family still reside in the house after death? Is the Witch House haunted? That is for you to decide! For many people, the Carpathian Mountains, located in the Transylvania region of Romania, are famous solely as being the home of Count Dracula. Now, however; they have a new tourist attraction. A Romanian couple has spent two years constructing an eco-friendly "fairytale castle" in the mountains of Transylvania, using only natural materials. 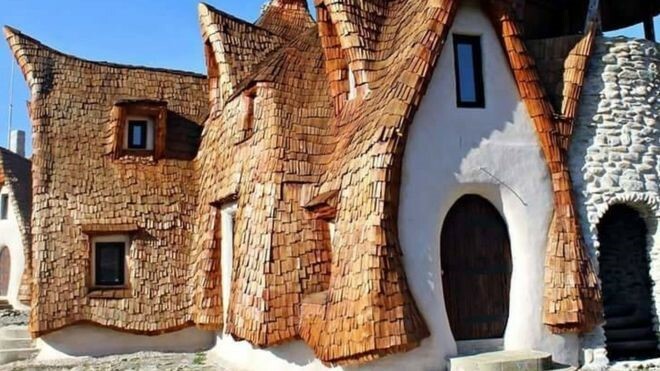 Razvan and Gabriela Vasile, who had been living in Bucharest, sold their home to build the "castle" in a small village just over 20 miles from the city of Sibiu. The property, which they have called the "Clay Castle of the Valley of Fairies," is made of 100% organic clay, straw and sand, with all wooden pillars and not a lick of modern paint or varnish. The building appears to be straight out of Middle Earth and looks nothing like a castle with its white washed walls and steeply pitched shingle roofs, which reach almost to the ground. The owners' plan is to open Clay Castle as a hotel. It is already a tourist attraction in its own right, and one couple even hosted their wedding reception there. Their enthusiasm for ecology also extends to heating the property, as the ten rooms will be kept warm in the harsh winter months with traditional wood-burning fires. The owners haven't yet explained how they'll keep the rooms cool in the summer. Warm or cold, the fairy-like Clay Castle certainly is odd! On this day, August 12th, in 1960, Echo 1, NASA’s first communications satellite is launched from Cape Canaveral, FL. The satellite measured 100 feet or 30.5 meters in diameter, was designed by the Space Vehicle Group of the NASA Langley Research Center and was constructed by General Mills of Minneapolis, Minnesota. A communications satellite’s function is simple: send data into space and beam it back down to earth. To accomplish this, Echo 1 essentially worked as a giant 10 story tall mirror that a signal could bounce off easily. It was the first satellite to facilitate two-way, live communication. President Eisenhower delivered the first live voice communication via the satellite. In the radio message he said “This is one more significant step in the United States’ program of space research and exploration being carried forward for peaceful purposes. The satellite balloon, which has reflected these words, may be used freely by any nation for similar experiments in its own interest.” The Echo 1 was involved in many firsts, including the first coast-to-coast telephone call using a satellite and the first image transmitted via satellite, which was a portrait of President Eisenhower. To communicate with the Echo 1, Bell labs created a 50ft (15 meter) antenna. While calibrating the antenna, radio astronomers Arno Penzias and Robert Wilson detected cosmic microwave background radiation, which was the first solid evidence of the Big Bang. Penzias and Wilson later won the Nobel Prize for this discovery. Even though the satellite was incredible durable, surviving a meteor shower, it was still susceptible to sunlight. The sunlight was strong enough to move the satellite around, pushing it back into the Earth’s atmosphere. On May 24, 1968, Echo 1 burned up on re-entry. Birmingham, Alabama is one of the more well known southern cities. Sloss Furnaces is a popular spot for music and art in Birmingham today. Many may not realize that this imposing historic landmark has a key role in the founding and growth of this famous southern city. For 90 years, Sloss Furnaces produced iron. It is the only blast furnace in America to have been preserved and restored. Something else has been preserved from the past. There are rumors of spirits here and not just the ones that come out every Halloween when Sloss hosts Sloss Fright Furnace. Ghosts seem to lurk in the old buildings. Join us as we explore the history and hauntings of Sloss Furnaces. Coal, limestone and iron ore were beneath Birmingham, Alabama, so it was natural for it to become an industrial center. Birmingham is the only place in the world where these three elements are found together in these amounts. The city is located at the crossing of two major railway lines, the Alabama & Chattanooga Railway and North & South Alabama Railway, in the foothills of the Appalachian Mountains. The city grew so quickly at its beginnings that it was dubbed the "Magic City." But the city is known for more than just its industrial production. It really was the cradle of the Civil Rights Movement. Martin Luther King, Jr's brother was a pastor in the city and events like the Freedom Riders being attacked on a bus there by the KKK in 1961, demonstrations in 1963 led by King and the bombing of a church that killed four school girls solidified Birmingham's place in Civil Rights history. Bull Connor added to this with his actions to enforce racial segregation as Birmingham's Commissioner of Public Safety. Those actions became known internationally. And they helped push forward the Civil Rights Act of 1964. What were some of those actions? The use of attack dogs and fire hoses on peaceful protestors. Birmingham was founded in 1871 by the Elyton Land Company. The shareholders of this company were the founders of Birmingham and included southern entrepreneurs. Colonel James Withers Sloss was one of those men. 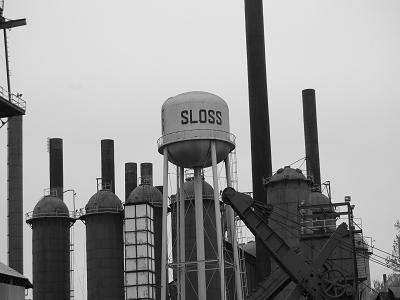 Sloss was born in 1844 to Joseph and Clarissa Sloss in Mooresville, Alabama. He was not well educated and decided to apprentice as a bookkeeper at a butcher's shop. In 1842, he opened a general store. He married Mary Bigger at that time as well. The couple bought land and started their own plantation, which they continued to expand through the years and eventually Sloss became a rich man. The Colonel part of his name comes from his service in the Confederate Army during the Civil War. He became president of the Nashville & Decatur Railroad after the war in 1867. He later joined as a shareholder with the Elyton Land Company. He convinced the L & N Railroad to bring the North & South Alabama Railway through the city. He then helped found the Pratt Coke and Coal Company. Sloss founded the Sloss Furnace Company in 1881 and began building the City Furnace that would eventually take his name and become the Sloss Furnaces. The Elyton Land Company donated 50 acres to Sloss' company to build the City Furnace. A European engineer named Harry Hargreaves had studied under British inventor Thomas Whitwell and he was put in charge of the design and construction of the furnaces. The furnaces were equipped with Whitwell stoves that were 60 feet high and 18 feet in diameter. There were also ten boilers and two blowing engines. All of which were manufactured in the south. In April 1882, the furnaces went into blast. In that first year of production the furnace sold 24,000 tons of iron. Louisville hosted an exposition in 1883 and the Sloss Furnace Company won a bronze medal for "best pig iron." Despite the large amount of black workers, Sloss was a segregated work place. The company was also set up in tiers with only whites in the positions of management, accountants, chemists and engineers at the top and the all black labor gangs were at the bottom. Working at Sloss Furnaces was tough. Men could barely see in front of them because of the dark conditions created by the smelting process. The heat from those processes would reach well over a hundred degrees. The work was labor intensive as men shoveled coal as quickly as they could to fuel the furnaces. Most workers were immigrants with few other options to feed their families. Makeshift barracks were all they had to sleep in and there were no labor laws in place or unions to protect them. And then there was James “Slag” Wormwood who was a foreman at Sloss Furnaces. He was in charge of nearly 150 men and he was not a benevolent boss. 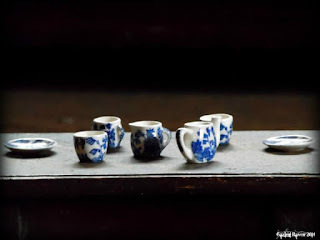 Slag would let them have very little sleep before he was banging on the walls and ordering them back to work in conditions that were not only unbearable, but unsafe. Slag was the type of guy who was not only a jerk, but he liked to impress his colleagues. One of the ways he accomplished that was by forcing his workers to perform dangerous tasks. Just because he could. The result was the death of forty-seven men under his watch. That number was ten times more than any other shift in the history of Sloss. Slag left his workers hungry and tired. One would not blame those workers for wanting to end their hell on earth. And some think they did. One day, ole Slag lost his footing at the top of the highest furnace and fell to his death. Was Slag just clumsy that day? Perhaps overcome by methane gas? Probably not. Slag never climbed to the highest furnace. In all his time at Sloss, he had never climbed up there. The likely scenario is that the workers revolted, grabbed Slag and dragged him to the uppermost heights and then threw him over to his death. The Sloss Furnaces that we see today has no original part of the first furnace complex still standing. During the early 1930s, the complex was mechanized and the furnaces were rebuilt, doubling the production of the facility. The oldest building dates to 1902 and there are forty buildings here. The blower engines date to 1902 and the steam boilers are from 1906 and 1914. Two slag granulators were installed in the 1940s and by the 1950s the blower engines were replaced with turbo blowers. The site closed for production in 1970. In 1977, Birmingham voters approved a bond to help stabilize the historic structures. In 1981, Sloss Furnaces was named a National Historic Landmark. Today, it serves as a concert venue, a festival location, has an innovative metal arts program and is a museum. Tours are available. Sloss Fright Furnace opens for Halloween and offers some cool chills in a very creepy location. But its not just the old buildings and smokestacks that give this location its creepy vibe. There really seems to be something haunting Sloss Furnaces and it is no wonder with all the deaths that occurred here, the unbearable conditions and that horrible work boss Slag and his mysterious and horrible death. It wasn't long after Slag's little mishap, that strange things started happening. Accidents became rampant and there were so many on the graveyard shift that the company decided to no longer have that shift. One worker had a shirt get caught in a large flywheel and he was pulled into the gear and killed. The watchman was lucky that he was only pushed. 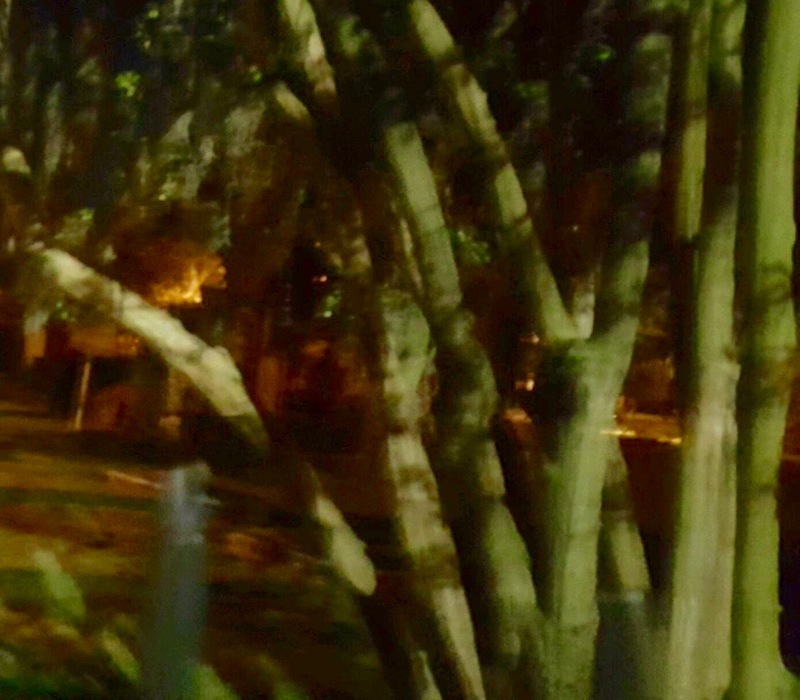 Another man claimed that he saw this shadowy presence that was the most evil thing he had ever seen and before he could react or run, he felt fists hitting his body. The attack was quick, but the effects were a bit more lasting. The man lifted his shirt and found burn marks where the punches had connected with his body. The watchman never worked at Sloss again. Other people claim to hear audible voices yelling at them to push some steel or pick up their pace. Are these the residual orders of Slag or some other boss? Apparently they occur most times during the shift that Slag would have managed. One of the other ghosts here is the spirit of Theophilus Calvin Jowers. He had worked at another furnace, Oxmoor Furnace, starting in 1873. By 1889, he was assistant foundryman there. One of his jobs was to change the bells on the furnace and on this particular day, he was trying to change the bell on the Alice Furnace. He was walking around the edge of the furnace, using a block and tackle, when he lost his footing. He and the bell fell into the molten iron. Workers ran to his aid, but not much was left of him. The Birmingham Age reported, "A piece of sheet iron was attached to a length of gas pipe, and with that instrument his head, bowels, two hip bones and a few ashes were fished out." Jowers apparition was seen soon after near the furnace. It was not unusual to see his spirit in places too hot for humans. The Alice Furnace was torn down in 1905, so Jowers spirit moved on to another furnace at Oxmoor. When that one was taken apart, he decided to relocate to Sloss Furnaces for some reason. Jowers' son John claimed he saw his father's spirit walking through the hot furnace there one day. Working at the furnaces was dangerous and evoked many emotions from fear to dread to anger. Have these emotions marked this location permanently? Do evil entities feed off this energy? Is one of those evil spirits that of the foreman Slag? Is Sloss Furnaces haunted? That is for you to decide! George Wyman crossed the Sierra Nevada, following a route from San Francisco to Reno, in 1902 and during that journey he decided to do something amazing. He had made this current journey so that he could race on his motorbike at a county fair. The motorcycle he road and hoped to race had only 1 ¼ horsepower. During the ride, Wyman realized that no one had ever travelled across the USA in or on a motorized vehicle, and he decided to be the first to achieve it. Wyman departed San Francisco on May 16, 1903, leaving from Lotta’s Fountain on the corner of Market and Kearny at 2:30pm. He had promised The Motorcycle Magazine (a periodical of the time) that he would document and publish an account of his journey. He rode a California Moto Bike that was for all intents and purposes, simply a bicycle frame with an engine motor attached. It was capable of 25mph, and could cover 75 to 100 miles on a tank. Wyman carried with him surprisingly little in the way of equipment. He took warm clothing, money, a water bottle, oil and gas cans, a camera, cyclometer, a small set of tools and spare parts, and a long barrelled revolver. Fifty days later, on July 6th, he rolled into New York City. His motorcycle was so broken by the time he reached Albany, that he had been forced to pedal the last 150 miles using a path reserved for licensed cyclists. He had completed his journey and he was the first person to undertake and complete a transcontinental crossing on a motor vehicle. It had taken him 51 days to cover the 3800 miles. Then, just 20 days after he arrived, Horatio Nelson Jackson completed the same journey in a car. Jackson’s cross-country trip had taken longer than Wyman’s. He had two companions with him, one human and one canine, and the journey took 63 days from the west coast to the east coast. To the American people, it didn't matter that Horatio's journey took longer. He had captured their imagination because he had done it in a car. For this reason, most people do not know that Wyman was the first man to cross America on a motorized vehicle. That such a pioneer could be almost forgotten because he accomplished the feat on a motorbike, certainly is odd! On this day, August 7th, in 1794, US President George Washington invokes the Militia Acts of 1792 to suppress the Whiskey Rebellion. In hopes to reduce the national debt which was incurred during the American Revolutionary War, Treasury Secretary Alexander Hamilton imposed the first tax on a domestic product, distilled spirits. Whiskey was the most popular distilled drink in 18th-century America and this tax became known as the Whiskey Tax. 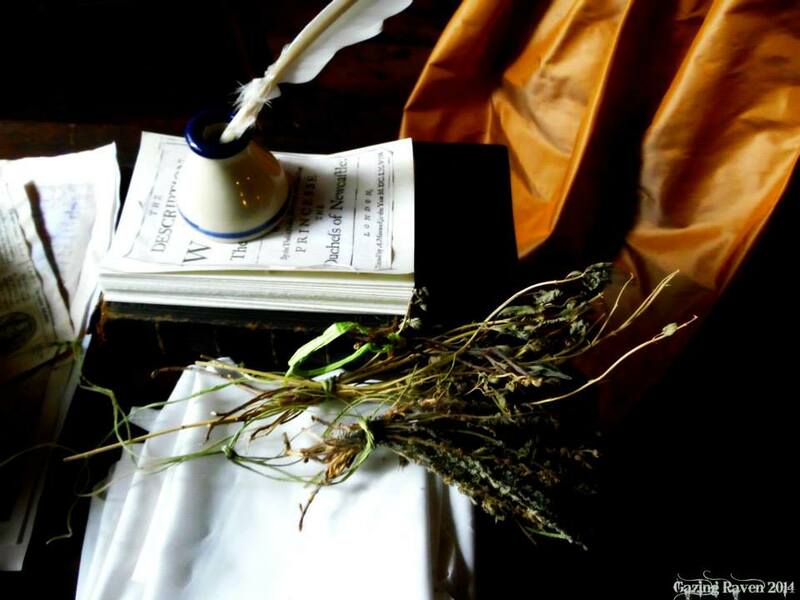 This tax was resisted by farmers who distilled their grain and corn into Whiskey and used it to barter. Many of the resisters were also war veterans who believed in the principles they originally fought for: no taxation without local representation. Throughout Western Pennsylvania, federal officials who attempted to collect this tax were met with violence and intimidation. In July of 1794, 500 armed men attacked the home of tax inspector General John Neville. In response, Washington sent peace commissioners to negotiate with rebels and called on governors to send militia forces. With 13,000 militiamen, George Washington rode at the head of the army to suppress the insurgency. The rebels left before the the army’s arrival and there was no confrontation. The Whiskey Rebellion showed that the new US government had the will and ability to repress violent resistance to its laws. The Whiskey Tax was repealed when Thomas Jefferson came to power in 1801. Waitomo is a beautiful natural location on the North Island of New Zealand that is known for its lush bush area and sea caves. The original people of this land, the Maori, have developed a culture rich in legend. A main draw for people from around the world are the Waitomo Glowworm Caves. The caves are not only known for their natural beauty, but for the creature for whom they are named: the glowworm. A popular tourist destination needs lodgings for the visitors and that is where the Waitomo Caves Hotel comes in to fill the need. The hotel has existed for over a hundred years. Situating a hotel in a land rich with lore, limestone and strife has led to rumors of this hotel being haunted. Join us as we share the history, lore and hauntings of the Waitomo Caves and their hotel! Waitomo is a Maori word that means "stream which flows into the hole in the ground." The name makes sense when considering that beneath Waitomo winds a series of caverns formed millions of years ago. Limestone bluffs shoot up above the ground, dotting the landscape. The Maori have been here since 1350. They claim to have come from the mythical Polynesian land of Hawaiki. In reality, they came by canoe from Eastern Polynesian islands. They settled on the shores of what would become New Zealand and they hunted seal and moas, which are a type of bird now extinct. They spread out and lived in small tribal groups. The Europeans arrived in the 1800s and initially it was mainly missionaires. They converted many of the Maori to Christianity. There was peace until the British tried to establish rule and set laws. The Maori consider the caves of Waitomo to be Tapu or sacred. They believe the caves are inhabited by Taniwha, guardian beings that live in rivers, in the sea and dark caves, and Patupaiarehe, whom are pale-skinned spirit beings that according to Maori folklore, live in deep forests and mountaintops in New Zealand and are thought to use ethereal flute music and singing to lure people to their doom. Similar to the Sirens of Greek mythology. It is thought that the caves have been used as a burial ground for the Maori. The caves are believed to have formed some 30 million years ago. Fossils and other deposits gathered on the sea floor, forming sedimentary rock. Volcanoes erupted and the shifting caused earthquakes and through this process huge slabs of limestone were lifted out of the sea. The rocks had cracks into which water flowed creating caverns that are the caves we see today. Inside the caves, visitors can see limestone crystal deposits, stalactites and stalagmites. Exploration of the caves by Europeans began in 1877 when government surveyor, Fred Mace, floated on a raft into the caves. The Waitomo Caves were first discovered by the Maori and it would be local Maori Tane Tinorau and his wife that would build a hostel near the caves for lodging. 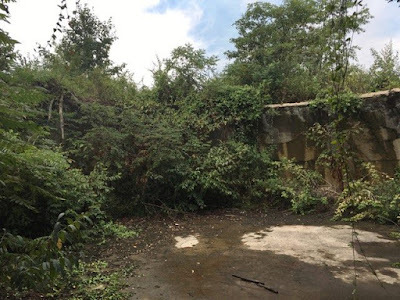 They picked a spot where a British fort had formerly been located. They completed construction in 1904 and called it Waitomo House. New Zealand had established the Department of Tourism and Publicity in 1901 and the goal of the government department was to buy up these national treasures. In 1905, the department bought both the caves and the hostel and a paper at the time claimed that a W. Rattan was running it when it was purchased. The hostel needed updating, so wood was brought in via horse-drawn carts and utilites were equipped in special ways since the location was too remote to be hooked up to town supplies. Running water was pumped in from the Waitomo Stream and electricity, which was a luxury at this time, was generated by a dynamo powered by a petrol driven motor engine. 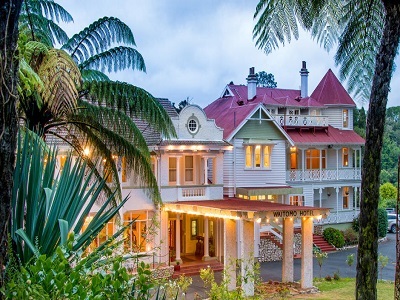 This was completed in 1908 and now the lodgings were called the Government Hostel at Waitomo. The architectural style is Victorian and it has similar features to the mountain chalets of Europe and was designed by architect John Campbell. Guests were moved about by coach, which was great in the summer, but during the winter, the muddy pass forced the hotel to have to pull the coach through the quagmire. This original structure still stands and is called the Victorian Wing today. When looking at the hotel, it is clear that there are two distinct buildings. The original hotel was proving to be too small to manage all the tourism. Many times, visitors would have to share rooms with total strangers. And when there were too many people for that arrangement to work, tents were set up outside. A new addition was completed in 1928 and it is known as the Art Deco Wing today. It features concrete pillars and was built in the Cape Dutch style found in South Africa and designed by architect John Thomas Mair. This style has roots in medieval Holland and Germany and most buildings built with this influence have a large distinctive front gable. The outside is clay with lime mortar and then the entire surface is whitewashed. Reminds us of old missions. 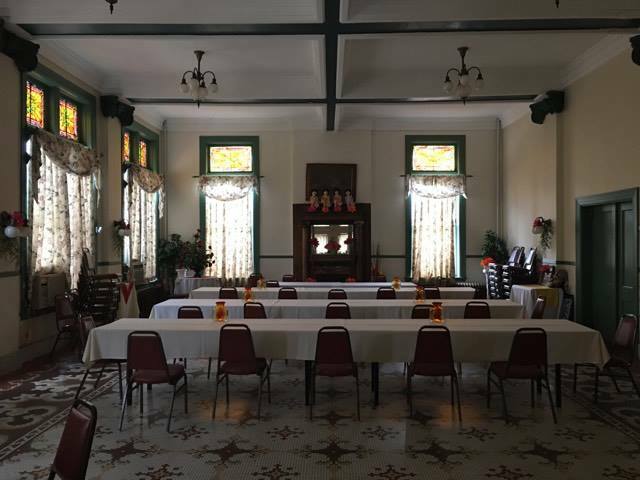 This addition added twenty-four rooms to the six in the Victorian Wing. A large kitchen and dining room were added at this time as well. A land steeped in legend that has experienced strife can sometimes spawn stories of hauntings of both the nefarious and sublime. The Waitomo Cave area and the hotel are reputedly quite haunted. While the hotel would have you believe that the only thing guests will experience is peace and tranquility, the possibility of cold spots, bathtubs dripping blood and encounters with dubious shadow people are all possibilities. Staff may be unwilling to detail their experiences, but enough of them and enough guests have encountered supernatural occurrences to put this hotel on the paranormal map. 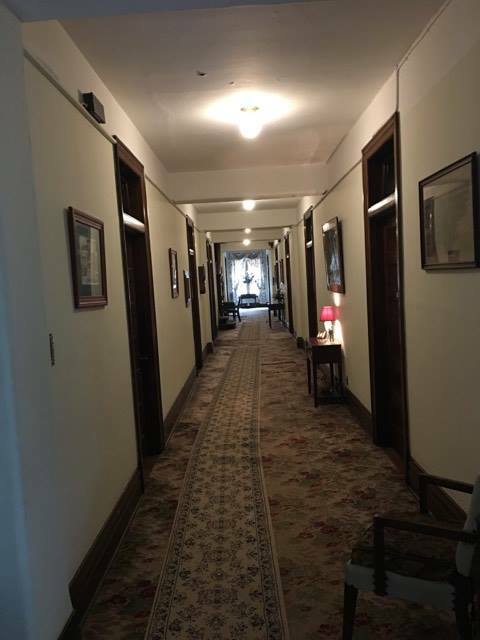 Room 14 is one of the haunted locations at the hotel and its story was inspired by a Maori legend. This tale dates back to the war between the Maori and the British. One of the daughters of the Maori king had fallen in love with a British soldier. They would meet in secret and it was while she traveled to the British fort for one of these renedevous, that she was killed after being mistaken for a warrior. Her spirit has been at unrest ever since and haunts the former fort's area. A young male guest was staying in Room 14 and he suddenly felt the icy chill of a spirit he believed to be this Maori princess. He told several guests later that day of his experience and he was quite shaken. Later that evening, he ended up committing suicide. Some say it was by hanging and others claim it was by slitting his wrists. Stories that the bath tub in Room 14 is seen dripping with blood back-up the slitting the wrists theory. The young man's apparition is seen both in Room 14 and outside wandering the hallway. The Maori princess not only is reputed to have visited this Room 14, but she has been witnessed walking around the Victorian wing of the hotel, which features the Honeymoon Suite. She also seems to like the attic and people claim to hear her moaning in there. She frequents Room 12 as well, which is next door to Room 14. Lights move about the room and guests complain that their bed sheets are pulled off and something unseen tickles their feet. Another room with activity is Room 12a that actually is Room 13, but superstition prevents the hotel from numbering it as such. Talcum powder spilt on the floor by investigators reveals footprints later on and objects within the room are moved about. A little boy spirit named Daniel is heard giggling in the halls and his spirit is seen skipping sometimes. Little children complain about a child that is picking on them that parents cannot see. It is believed that Daniel was the son of a maid at the hotel in the 1930s. The hotel had a small cluster of rooms that catered to the staff and a hallway that connected these rooms to the kitchen and restaurant was dubbed Cat Alley. Daniel was skipping through Cat Alley and popped into the kitchen where he hit a pot of boiling water that came crashing down on him, scalding him horribly. He eventually died of his injuries. This Cat Alley is where Daniel is most often seen. These hauntings all seem rather tame, but there is a malevolent spirit here, usually found in Room 25. The staff dislike entering this room and claim that they feel sick and that the energy in the room feels oppressive. Disembodied screams are heard and objects are moved and sometimes thrown. 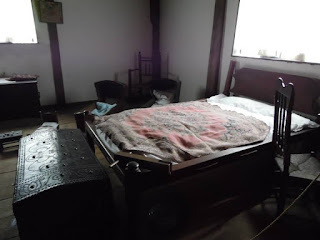 No one is sure who haunts this room, but it has been surmised that a former head staff member that has taken ownership of the building is to blame. They seem to want to keep order in the Art Deco wing. Another investigator named Barbara was staying in Room 12a. She had been wearing a cross and she took it off and put it on the night stand before going to bed. The next morning, she found it broken and took a picture of the cross. A woman named Christine claimed to catch an EVP at the hotel during a stay in 2006: "My hubby had just asked me if I wanted a glass of wine. I said "yes", he handed it to me, and I said "thank you" and continued to tape the room. When I took a breath, there was a very audible sigh and "argh". Neither of us heard a thing at the time & it is not my husband's voice." Joanne on TripAdvisor in 2012: "I could not sleep as every noise played havoc with my mind, creeping floor boards all night long, footsteps coming from the room above and then around 1.30am I heard a strange moaning, crying coming from the room above, I woke my partner up so scared and he said go to sleep it must be a dog, but I knew there were not dogs here at the hotel and the noise was definitely coming from the room above.When we returned from our holiday we examined the photographs and this one in particular caught our eye. The photograph was taken in daylight by a digital Nikon SLR camera – no flash was used, there appears to be an orange glowing ball in front of us and above our room where we stayed there appears to be a strange green light top center a little to the left." The Waitomo Caves seem to have attracted more than just tourists. Do spirits reside here in the afterlife? Is the Waitomo Caves Hotel haunted? That is for you to decide!